So, here's the topic where we'll discuss the coding of the game. I think Axe with the possibility of some assembly would be the way to go. Assembly can be easily inlined into it by simply having axe include a file with the hex inside. That way, compilation is still as simple as compiling the main program. Speaking of the main program, what should the naming convention for files be? The map files would actually be data for specific maps, like information about where people are, what they say/do, and where you might enter to another map (like if you enter a dungeon or shop). I can help with routines. We need a list of which routines we need, though. What is OmniRPG? What platform? Ok guys, shouldn't we discus what's gonna be coded by who and how it should be coded? Like in example: movement, 1px at the time? 8px at the time with smooth scrolling? That kind of stuff? Yeah, I said in one of the other topics that if I somehow find time during the weekend, I want to try to write up a proof-of-concept map engine. Once we actually have a map engine working, we will probably figure out scrolling. I was thinking of 16x16, 3-level gray tiles. I think that offers much better detail and the user can feel more at the world level. 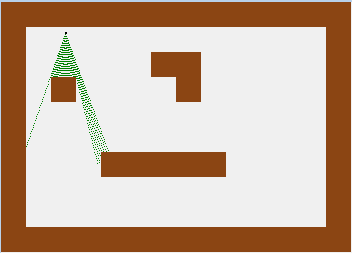 I was also planning on incorporating a collision detection scheme that I was working on by making a simple AI to chase down the user. Page created in 0.876 seconds with 61 queries.